Gold slipped back below $1,300 an ounce on Wednesday and is now trading flat for 2018, but investors in gold-backed exchange traded funds continue to see opportunity in the yellow metal. 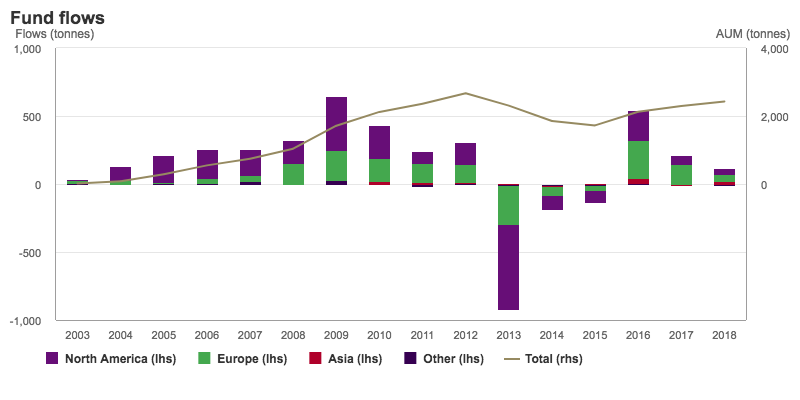 After spending $820m Asian bullion bulls added nearly a fifth to holdings in 2018. Although it's still a fraction compared to Western markets at just over 100 tonnes. 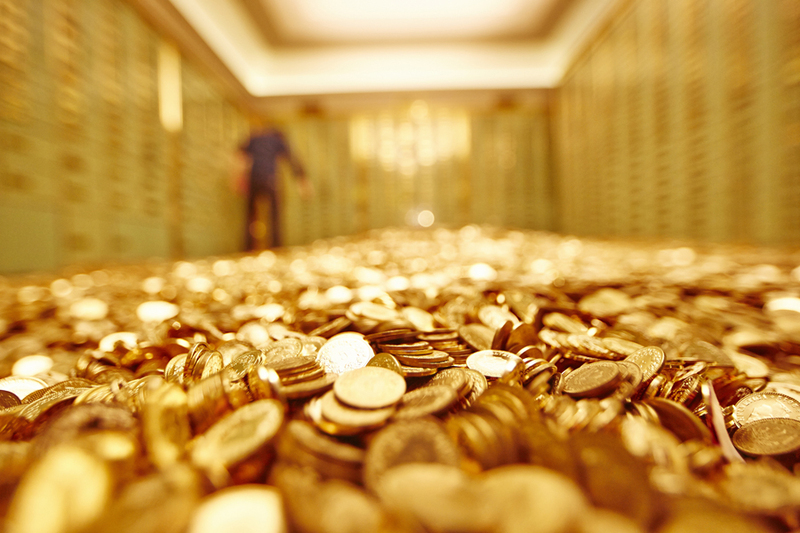 2016 was the best year for funds since 2009 with global net purchases of more than 500 tonnes, primarily thanks to European bullion investors. In dollar terms 2016 was the most successful year for the industry which first emerged in Australia in 2003. Total global gold bullion holdings hit a record 2,632 tonnes or 93 million ounces in December 2012.